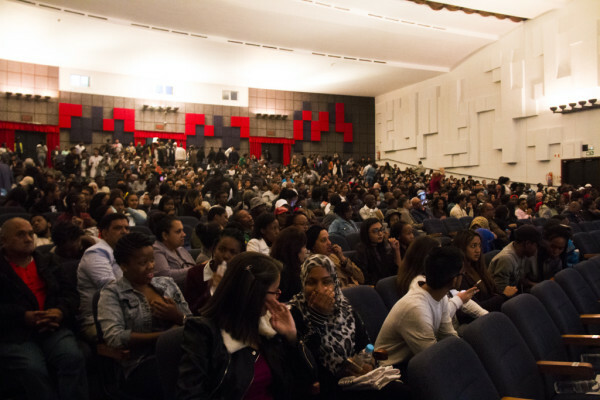 Wits Muslim Student Association hosted a comedy show in the Wits Great Hall to raise funds for students with historic debt. 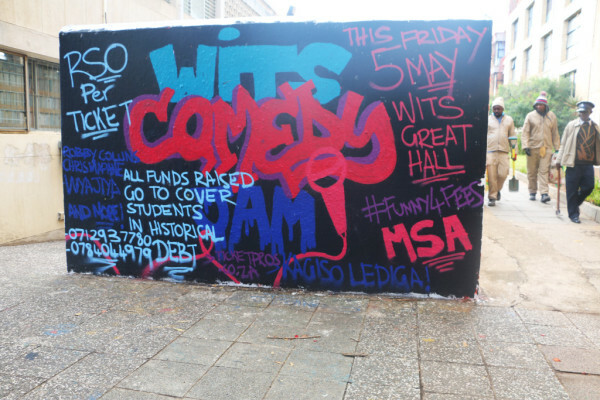 The Wits Muslim Student Association (MSA), hosted a comedy show on Saturday, May 05, under the banner #FunnyForFees to raise funds for students with historical debt. The line-up included well-known acts, Kagiso Lediga, Chris Mapane, Tats Nkonzo, Eric Jansen, Suhayl Essa, Robby Collins and Vuyo Jiya. Muazz Docrat, Chairperson of Wits MSA, said that there are many challenges that students face and MSA wanted to try and assist with the most prominent of these, funding. According to Docrat the society chose a comedy show as the method to raise funds because MSA has a history of hosting successful comedy shows. “As students we received a lot of public criticism during #FeesMustFall and so we wanted to look at alternative methods,” said Docrat. Before the Comedy Jam, Docrat said that the event would rake in at least R50 000 if they sold all the tickets. “Though tha t might sound like a lot of money it’s not and a lot more support is needed,” said Docrat. Comedian Tatz Nkonzo put his jokes aside before concluding his set to thank the members of the audience. “By coming to this you’re all activists,” he said. Nikita Bauer, a post-grad education student said that she chose to detach herself from the #FeesMustFall movement as it was characterised by violence but was notcompletely oblivious to the struggle and that’s why she chose to attend Comedy Jam. “Honest initiatives such as the #FunnyForFees comedy show, which actively work towards making a difference, has my guaranteed support,” said Bauer. She also added that she appreciated the way that some of the acts “took the Mickey out of the #fmf movement”. Docrat said that after Comedy Jam MSA would liaise with Fees Office and possibly create a trust fund to help students regardless of race, religion or political association. “The point is to look at those who need it the most,” said Docrat.